Not as many povs. I really think book three suffered from the case of too many povs. Fortunately, Luke told most of the story in this book, just like I thought he should. He’s been such a mystery for most of the story that I wanted to know who he was and what he had been up to. Unfortunately, I didn’t learn too much about him personally (see below), but we definitely learn what he’s been up to and why he made the decisions he made. A suspense and a mystery. This book manages to go back and forth, deftly juggling both a suspense and a mystery. I believe a suspense novel is based on the idea that you, the reader, know who the bad guy is, but you read to see the main character(s) connect the dots. This would be the international issue that was introduced in the previous book. I will admit that I was not as invested in the suspense, as I appreciate a good old-fashioned who-done-it more, but Pettrey does a good job of not overpowering you with information so as to get you lost or uninterested. She also managed to make the bad guy feel more human and not just come across as some evil villain. 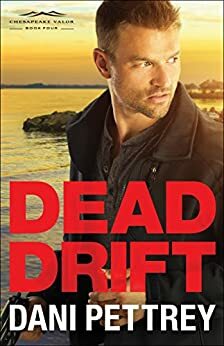 I was, however, really looking forward to solving the mystery of who killed Jenna, and while some parts seemed to randomly come together fast, I did enjoy Griff and Finley solving that mystery. Characters. Kudos to Pettrey for creating a cast of characters that each had their own personalities and quirks, so much so that I never got them confused with the others. My favorite two will always be Griff and Finley followed by Parker and Avery, but they were all wonderful fictional people to spend time with. Spiritually, the characters pray and seek God and make real efforts to grow and develop their faith. Honestly, this is a matter of personal preference. This is a plot driven book. Something is happening in just about every chapter; places blowing up, people being shot at, clues being stumbled upon (some of the clues were handed to them so quick, I wondered what took them so long to get there). With so much action, there was very little room for genuine characterization. To me, Luke and Kate were very superficial. That’s not necessarily bad, it just leaves for some rather unmemorable characters. I do believe that to a great degree, Pettrey relies on the first two books in her series to tell the stories of most of her characters (I usually adore the first two book), but then that means you mostly get action in the last two. This works for some people, but it wasn’t exactly my cup of tea. Also, the romance was a bit of a disappointment. It was almost as though the main couple had to get together cause there was no one else left. There was talk about attraction and for once I was like, skip attraction, do they connect on a personal level? I wasn’t sure they did. As a romance lover, I would have liked more. However, if you’re going into this book ready for action, I think you will be satisfied. Overall, I loved the first two books in this series and am super impressed with Pettrey’s vision by having an overarching mystery and suspense that spans four novels. But, I do think in the rush to do it all, some character development was missing and ironically, some of the suspense/mystery happened too fast. While the remnant must take responsibility for the evil they brought to Er’Rets, it would seem that something just as dark already existed in this new world. The growing struggle between Armania and Barthel Rogedoth is but a pale reflection of a far more dangerous battle for the souls of humanity. And so begins this awe-inspiring conclusion to Jill Williamson’s Kinsman Chronicles. The Hadar family and their allies prepare to make one final stand in the name of Arman. There shall be war–in Er’Rets and in the Veil–to vanquish evil or be ruled by darkness. I love Jill Williamson’s novels. Just love them. I was very excited about this last book in the series, but I’m not going to lie. It took me a minute to get really into it because of all the characters and side stories going on. Unless the character was an absolute favorite, I had kind of forgotten what certain people were doing, their relationships, and what they were involved in. However, once I got pulled in, the book didn’t let go. I am in awe of the vision that Williamson had as she pulls together all the pieces of the Kinsman Chronicles and the Blood of Kings trilogy. We’ve got King Trevn, who I will be honest and say I knew he would be king (because of the Blood of Kings trilogy) who is learning how to rule a really messed up kingdom. I always liked him in the previous books, but he really shines in this one. You can see how he’s matured from the boy who ran from responsibilities into someone who faces them head on. Then there’s Hinck who grew from Trevn’s shadow to a man in his own right; Oli, Onika, Grayson, Kalanek…the list goes on. There were so many great characters who were allowed to grow and change and make mistakes and still be interesting while doing it. And the great part about all of them was that they felt human. Just because this is characterized as christian fiction, doesn’t mean that Williamson shied away from the realities of life. Spiritually, I thought the book was on point as an allegory. You really see the difference between magic (i.e. witchcraft) and the power of God. I’m not sure if that was Williamson’s point, but that definitely stood out to me. There was one character, a female, who I did like in the previous books but who completely became a TSTL character. I was guaranteed that if there was going to be trouble, she was going to be right there in the midst of it. At one point, we, the reader, are supposed to fear for her life and I was thinking if she died there would be no real loss. She just got on my nerves and I’m not sure I loved who she became. 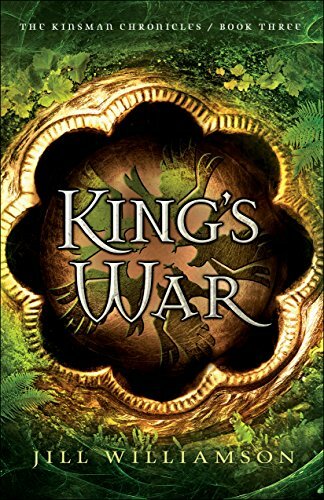 Williamson is building towards a great battle starting with the second book in this series. She absolutely delivers. But it got so long and detailed, I did start skimming. Overall, a great series! It made me immediately pick up the Blood of Kings series and do a reread. I do think the Blood of Kings was a better series, but mostly because it was focused on two povs throughout the series so you really connected with the characters. I’m not a huge fan of the multiple povs. That said, kudos to the author for doing it and doing it well. I hope Williamson isn’t done writing about this world. I’m not ready to let these people go.